Takes viewers on a pilgrimage throughout the shrines of the Biblical City of Ephesus ending with the complete story of the discovery and tour of the house St. John had built for the Blessed Mother high on top of Mt. Nightingale in Ephesus where she would live the last 9 years of her life. Click here to see a preview. Mary's House has aired on TV throughout the world including the U.S., Europe, Russia, Korea, Australia and South America. (Available in 9 languages incl. English, Spanish, French, German, Italian, Russian, Japanese, Arabic and Polish.Available in DVD and VHS. The video is available through Mary's Media Foundation at $15.00 plus $5.00 shipping and handling. 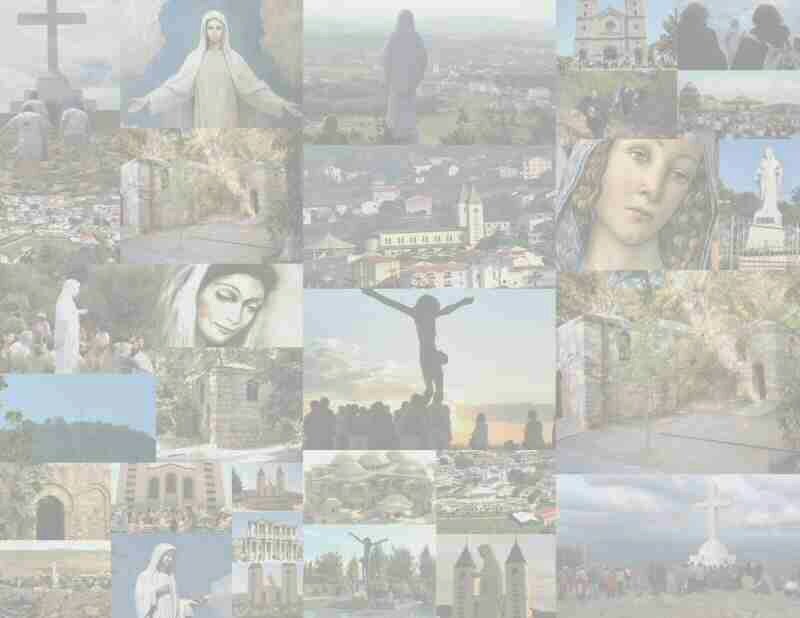 Numerous other Marian videos are available via Mary's Media. Click here for a full list, descriptions and prices. Chronicles the life of the French nun Sr. Marie de Mandat Grancey who gave up wealth, power and position to serve the poor, the sick, and the orphaned with the Daughters of Charity. Her financial help and strong desire to follow the writings of St. Anne Catherine Emmerich resulted in the expedition that would locate Mary’s House in 1891 exactly where St. Anne said it would be. Sr. Marie paid to have the house restored to its original form so that for the Past 100+ years pilgrims of all faiths could come and pray there. (price is $12.00 plus shipping and handling) Click here to see a preview. Complete film available in DVD. Individual parts only available in VHS. 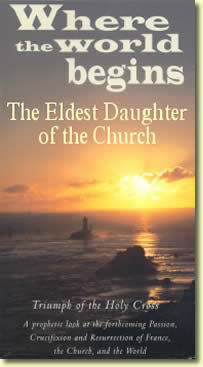 The Eldest Daughter of the Church is filmed on location in France and Rome. Superb cinematography, haunting, inspirational, classical music, and a wonderfully narrated story of the spiritual destiny of France, all go to make this an exceptionally beautiful film. Heart of the Lily: The story of Mary Magdalen's journey to Provence in southern France, and how the seed which she and the early disciples left in Roman Gaul blossomed into a garden of saints and Churches, most notable in the Abbey town of Paray-le-Monial where Jesus revealed the treasure of His Sacred Heart to St. Margaret Mary Alacoque. Where the World Begins: How France in the last hundred years has been called to fulfill her destiny as the Eldest Daughter of the Church, and reveals how posterity will one day see that her greatness is remembered not so much through the accomplishments of temporal leaders, but in the heroism of her saints and victim sours of love who suffered so much to expiate for the apostasy of the nation as a whole. 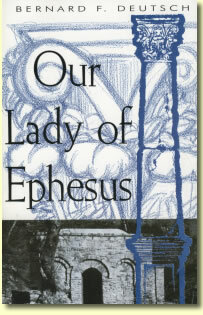 New Book - "Our Lady of Ephesus"
The first authoritative book published containing the research and support for the discovery and legitimacy of both Mary's House as both her true home near to which she was assumed into Heaven after living there for nine years. Shipping charges will be calculated when you view the shopping cart. credit card information on the new page.